Well done PowerApps team!! 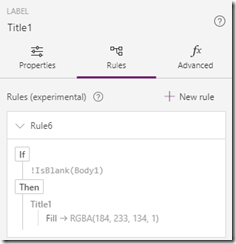 Just days before Ignite they rolled out Rules for Conditional Formatting in PowerApps. 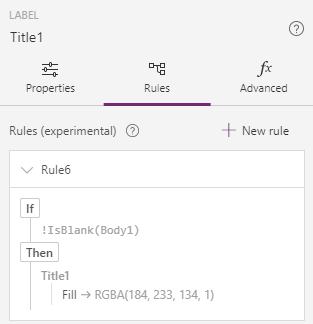 You could technically get the same functionality with building out formulas, but the new (experimental) rules bypass this and are MUCH more end-user friendly. For those of us coming from a SharePoint background this is creeping closer to functionality that was available back in the days of SharePoint Designer. 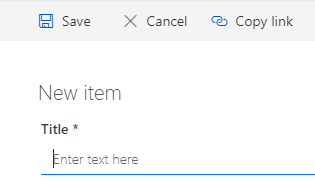 As soon as a true web part is available to embed a PowerApp in a SharePoint page (hopefully the new “modern” pages) users will be able to replace SharePoint views with robust apps that include conditional formatting and other goodies not currently available in SharePoint alone. Exciting stuff and more to come!! SharePoint’s “modern” capabilities are changing the face of SharePoint – for the better. But it is taking us further away from some of the tricks and approaches that work with “classic” SharePoint. Thankfully one of the long-standing legacy features of SharePoint still seems to work – the Source parameter. When used as part of a URL in SharePoint the Source=[URL] parameter takes users to the specified page after a form is saved or cancelled. This allows us to manage some of the navigation flow for users. So how does this work with “modern” lists and pages. On a list, you have the ‘New’ item button on the top bar. When you click it the new item panel opens up. The top links on the panel include a ‘Copy link’ link. 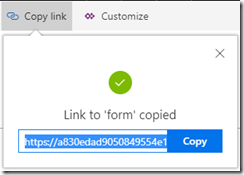 ‘Copy link’ for the New Item gives us the URL of the New Item form that can be used to link from other locations – such as an email footer, the left nav in a SharePoint site, etc. 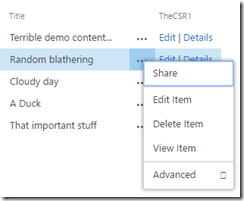 This link includes the Source parameter and by default will go to the default list view page for the list. Usually, that’s not where we’d like to see users end up. If I’m building an intake solution, I might have a ‘My Requests’ page where I’d like users to end up. 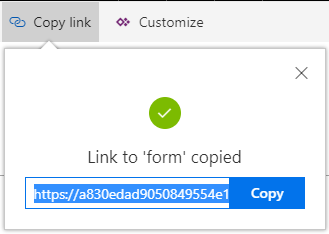 To make that happen it’s as easy as copying the link from the New Item page, getting the link to the My Requests page, and then swapping out the Source parameter value. Using this approach you have a link you can use where users will be able to submit a new request, then end up on the My IT Requests page rather than the default list view page. UPDATE: They’ve managed to fix our session overlap – new location and time shown below! UPDATE: Added links to the Tech Community Discussions for each session. Chime in! In a relatively late development, I’ll be attending and speaking at Ignite in Orlando this year! I wasn’t planning on either, so this is exciting. Working on both SharePoint and PowerApps, I’ve got one theater session and will be co-presenting with Cathy Dew on a full breakout session. Links and details below. Microsoft Ignite in Orlando. Sept. 25 – 29th. Tech Community Discussion <- Talk to us! Yes, if you’re looking at the times the two sessions actually overlap right now (fixed!). We’re working on that. Worst case I leave Cathy’s session a little before we’re done and RUN to the other building. Let’s hope it doesn’t come to that. Either way we’ll make it work. SUPER excited to be able to attend and contribute. Hope to see you there! Ran across a random request the other day to see the ellipsis menu added to a column other than the Title column. 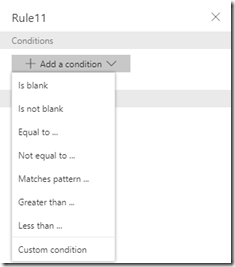 Turns out it’s a pretty simple change similar to how we change the column header text in a SharePoint view. 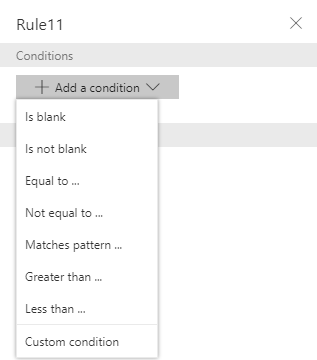 Note: To remove the ellipsis from the Title column in the view, change the column from “Title (linked to item with edit menu)” to “Title” field in the view Columns. Note and Disclaimer: JS Link currently works in SharePoint 2013, 2016, and SharePoint Online. JS Link does NOT work with the ‘Modern Experience’ interface – only Classic Mode. See ‘Choose Your Path Forward’ for more information.